There is little on this earth that is as refreshing as a trip to the beach. The beauty and power that can be seen in every coastline is just remarkable. I was aching for a trip to the coast so we decided to visit Rockaway Beach after visiting the Tillamook cheese factory. Rockaway Beach is the stretch of beach that is North of Tillamook, OR. Like all Northern Oregon beaches it is almost always windy and cold. 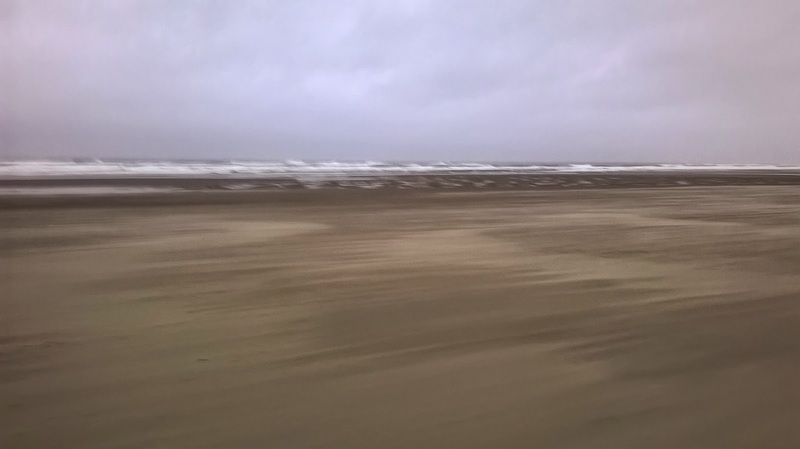 It was drizzling when we went but that didn't stop us from running all over on the sand. It is so beautiful! When we went there were only two other groups within eyesight, yet pretty far in the distance. To me, that is the perfect amount of people. I like feeling secluded yet not totally lost or alone. Free to be silly! All in all I loved our visit to Rockaway beach. We didn't stay too long since it was drizzling and cold but it was still such a good feeling. We also visited Cannon Beach during this trip which I will blog about in the future.